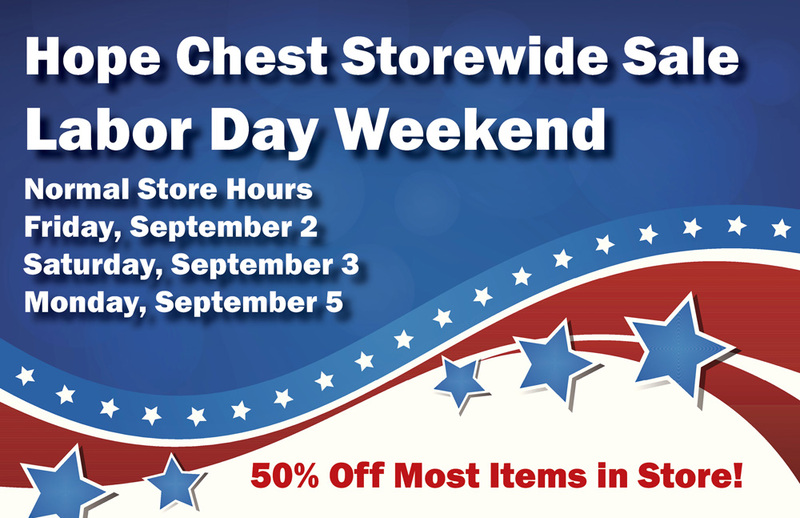 Shoppers can enjoy a weekend of savings as Hope Chest upscale resale stores celebrate Labor Day. 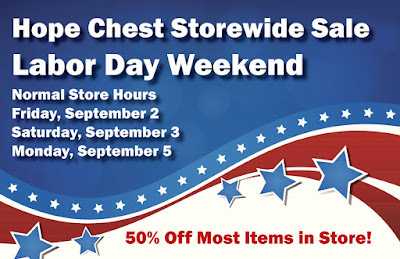 On Friday, Sept. 2, Saturday, Sept. 3 and Monday, Sept. 5, visitors to the Hope Chest stores in Bonita Springs and North Fort Myers will discover brand-name clothing, high-quality furniture, specialty home goods, antiques and collectibles – many priced at up to 50 percent off. Proceeds from the Hope Chest stores benefit Hope HealthCare Services programs that provide exceptional care and support to individuals and their loved ones as they fulfill life’s journey. Located at 28520 Bonita Crossings Blvd., off U.S. 41 south of Bonita Beach Road, Hope Chest at The Crossings is open from 9 a.m. to 5 p.m., Monday through Saturday. The North Fort Myers Hope Chest at 13821 N Cleveland Ave. is open Monday through Friday from 9 a.m. to 5 p.m. and Saturday from 9 a.m. to 4 p.m.